How a simple reference turned into a fully fledged insult simulator. Vile Monarch are a quirky bunch. Their previous game, Crush Your Enemies, was a unique spin on the RTS genre with gratuitous gore and characters whose main reason for existence was to eat, be drunk, and kill. With their follow up, a game jam challenged them to create a game using the line "This parrot is no more!" from this famous Monty Python skit. After a weekend's work, they produced Oh...Sir!, a game where the battles take place on the fields of honor, where words decide who ends up on top. We got to catch up with Kacper Kwiatkowski at Pax West, where he was showing off the game, and he talked about the game jam and how Oh..Sir! went from an exercise to a full blown commercial release. 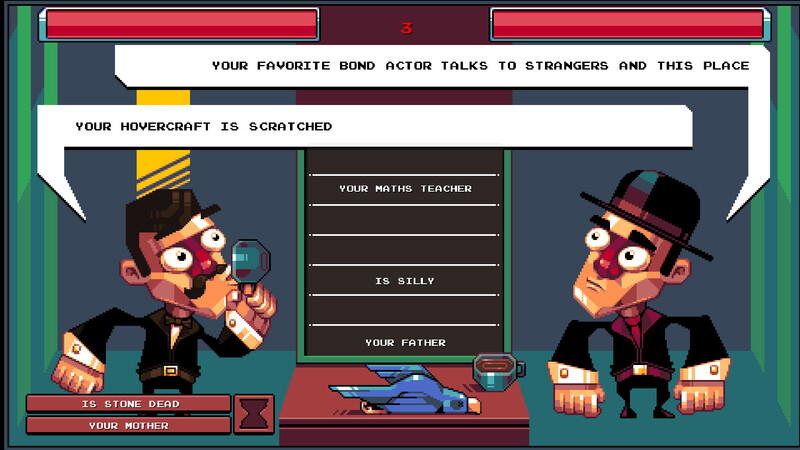 "We made the first version of this game at a game jam, and the topic was, This parrot is no more, which is an obvious reference to Monty Python. Because this original version became very popular, we wanted to make a remake, which is even more soaked with Monty Python references, while still keeping originality, but having a lot of Monty Python absurd feelings." After the game jam, the team put a demo on steam for free that people could try, and reception prompted them to make a full version. A screenshot from the game jam demo. When asked about how Oh...Sir! was doing at Pax in the hands of fans, Kacper seemed pretty positive. "People reacted even better than we thought. The only problem is, very few people here speak British english, so they don't understand some of the insults, like a minger. Native english speakers were asking a Polish guy what a minger is. That's embarrassing!" he laughed. Check out the full interview with Kacper below. Want to see more from Vile Monarch? Check out another interview with them, as well as a review for thier previous game, Crush Your Enemies.